Nintendo has once again thought outside the box for something truly creative. 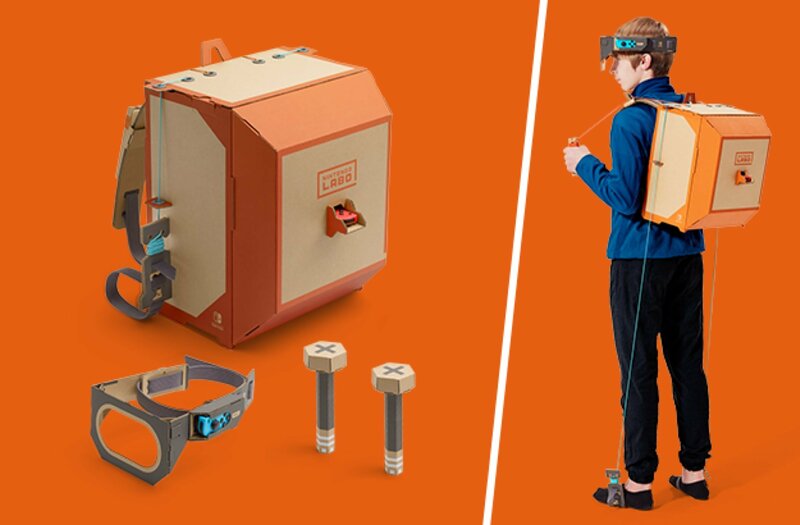 Nintendo Labo lets you build real-life items such as a backpack, piano, and more to be connected to your Switch system for exclusive games and experiences. Labo was revealed today in a surprise trailer. Geared towards kids but certainly for everyone, Nintendo Labo is a bizarre concept that is somewhat hard to explain. In execution, it looks a lot like homemade 3D printing. As seen in the reveal trailer, it all begins with a simple piece of cardboard. Much like with building a Gundam and the like, players will take pieces out and assemble the creation themselves. Some of the examples seen in the reveal trailer are a piano, a backpack tied to a mech game, and more. The official website for Nintendo Labo just launched, revealing what you can expect to pay for the various devices and how it will work. You can purchase the DIY kits for Switch in two different forms. Both Toy-Con 1 and 2 Variety Kits will be launching on April 20th, 2018 for $69.99 and $79.99 respectively. Variety Kit 1 will include five different projects for you to assemble and interactive with including a piano, two RC cars, and a house. The Variety 2 Kit contains only the robot backpack-looking set at a higher price. Both kits will include Nintendo Switch software for you to use alongside your physical creations. For parents interested in checking out Nintendo Labo, there is a limited space event in New York City in February and San Francisco in March that includes a three-hour preview of it. Submissions will only be accepted from now until January 21st or when space is filled. See here to register.